A smaller pacifier to add to your beading projects ... large 5mm hole is large enough for your biggest projects. These will add texture and color to your beading projects plus they are super simple to add to any of your beading projects. 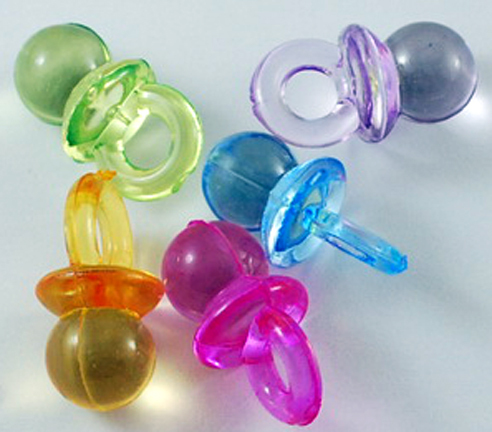 Check out the Bright Pacifier Beads if this is a favorite for YOUR Busy Beaks!